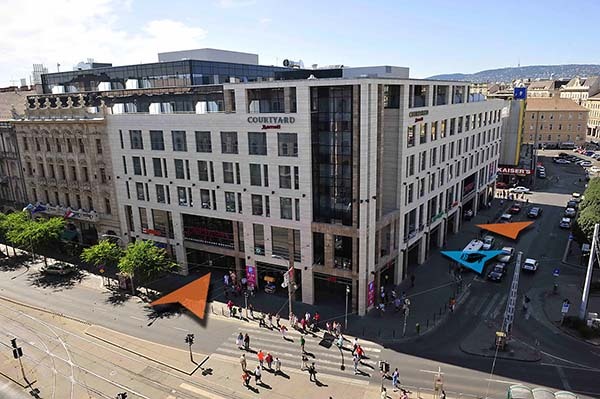 FlashKart was opened in 2014 as the very first electric karting track in Budapest at the Blaha-Lujza square in Europeum shopping mall level -5. Kids above 125cm can enjoy the speed with us. Adjustable seats, pedals and speed levels make sure they can drive exactly the same karts as YOU. Their speed depends on their skills. WOULD YOU COME FOR AN EVENT? We work hard on helping you organizing your kids party or company outings. Write to us and we’ll call you back to go into the details. Karting is no longer associated with deafening noise and reeking exhaust; from now on, karting is recreation, competition, entertainment, power and dynamism in a clean and pleasant environment! Our electric gokarts have 4 different speed levels which make sure that karting with us will be a great experience not only for guys but for girls and kids too. Visit us at Blaha Lujza square and give a try to our electric karts! … because you won’t have oil or gas spots on your clothes. … because the electric motor is quiet. … because electric engine makes no pollution. … because the theoretical maximum speed of our karts is 130 kmph. … because the design of the kart is symmetric and it has both adjustable seat and pedals. We’ve collected the most FAQs to let you find the answers easily. In case you are interested in more details, take a deeper tour on our website. If you still don’t find the answer just send us an e-mail. Although the engines of our electric gokarts are powerful enough to reach 130 kmph, our main goal on the track is safety. This is the reason why we’ve adjusted the settings so that you can’t achieve more than 40 kmph. If you are more than four we are happy to organize you real race from real starting grid including 3, 4 or even 5 rounds (warm-ups–, qualifications– and final round). The best three get medals or cups at the end. You’ll find more details of our race packages under the PRICE sub-page. Our 220 meter long racetrack is waiting for you with 14 turns – one of them is a full U turn. The track therefore needs some driving skills at higher speed so you will find it enjoyable also when you are a pro or just want to relax with friends. If you’ve heated the wheels of your gokart hot enough so they start to have a decent grip and you also know how to play with your bodyweight than you can drive a lap within 22-23 seconds. A standard round at FlashKart lasts for 7 minutes which means about 13-15 laps. In order to guarantee security on the track we limit the number of karts on the track simultaneously. The more karts on the track the greater the possibility of crashes which lead ultimately to decreased racing experience. Therefore max 8 people can enjoy our track at the same time. Although both the seats and pedals are adjustable, we recommend a minimum height of 125 cm (if you are smaller you won’t reach the pedals and can’t concentrate on steering the wheels and pushing the pedals) and a maximum height of 200 cm (above you won’t fit into the seat). Because of safety reasons wearing a pair of casual AND closed shoes is compulsory. Your sandals or slippers can get caught into the pedals and can lead to serious accidents where you can hurt yourself really badly. In case the adrenaline took over the lead and you crashed the walls or other cars hard the kart’s on-board crash sensors will penalize you and your car will be slowed down for 8 seconds. Getting here During the day you can come by metro line M2 or by bus 7 and get off at “Blaha Lujza tér” stop. In the night the following bus lines stop here: 907, 908, 931, 956, 990. Tram number 4 and 6 take you here any time. Parking Would you decide to come by car you can leave your car in the underground car park in Europeum (the shopping mall which includes FlashKart), after 8 p.m. parking is free in the public parking lots around Blaha Lujza square and Somogyi Béla street. Entrance Europeum mall has entrances from József street and Blaha Lujza square. Take the indoor elevator to level -5 and from there you can’t miss us! When the shopping mall is closed, you can enter the building through the door dedicated for night visitors next to the mall main entrance from Blaha Lujza square. Do not forget to ring the door bell! Budapest első elektromos gokartpályája Budapest, 1085., Blaha Lujza tér 5.